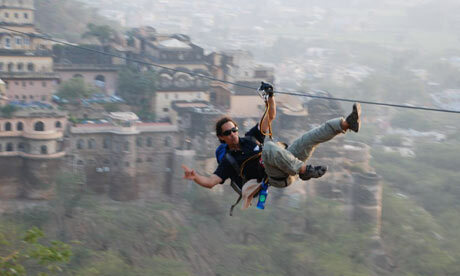 Welcome to Flying Fox,a thrilling aerial tour around Neemrana Fort. 5 to 6 different zip lines for 2.5 magical hours. We operate India's first zip line tours – a unique and exhilarating journey between battlements, hill forts and ridge tops located at Mehrangarh Fort in Jodhpur and Neemrana Fort Palace near Delhi. Enjoy breath-taking views as you fly down a series of ultra-strong steel zip lines, securely attached by a harness and pulley – propelled simply by gravity. Trained instructors accompany you to ensure your safety and entertain you with their local knowledge. The tour takes about 2 hours. Earlier also we have posted many Snapdeal Pay Rs 0 Deals, Here is one another. 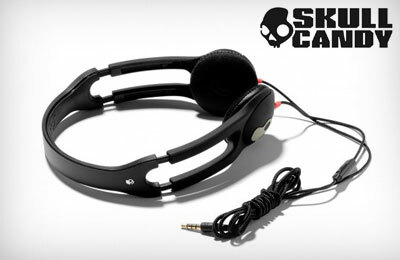 Buy this deal for free and get a chance to win Skullcandy Icon 2 headphones [40 winners]. You will definitely loose nothing but you can be a winner here. How to participate in lucky draw? On home page, you will see the link for "Win 40 Skullcandy Headphone Icon 2" and if you don’t click here to directly get there. 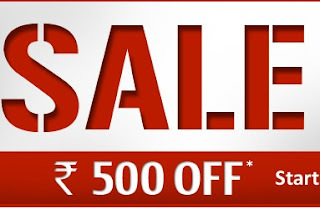 Indiatimes Shopping is giving Rs 500 off on Minimum Purchase of Rs 1500. This offer is valid till 6th January Midnight. So hurry up and grab this deal. How to Redeem this coupon? Add products worth Rs 1500 in your cart. Use Coupon : SR124782375070092 at checkout. The coupon is valid on a minimum purchase of INR 1500. The above mentioned coupon code would be valid only once for a unique email id. Get Domino's Gift Voucher Worth Rs 1000 for just Rs 899 at infibeam.com . This is a limited time offer. This is not a coupon. You can use this gift voucher with another coupon like as we posted BOGO offer. Go to Infibeam deal page. Add to cart.Pay Rs 899. 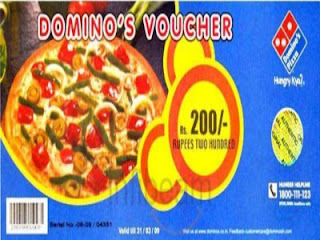 This certificate is valid at all Domino's Pizza outlets in India. Please inform the order taker of the gift certificate while placing the order. Limited area of delivery. Consult Domino's Pizza man for best results. Store open from 11a.m. to 11 p.m. Minimum order is one pizza for delivery. This Gift Certificate is valid only in original. This Gift Certificate is not currency. This Gift Certificate cannot be exchanged for cash. In case the amount is less than the value of the certificate, the balance amount will not be refunded. This Gift Certificate is not valid if not signed by the authorized signatory. Domino's Pizza shall not be liable foe any loss or renewal of this certificate.